The Shoot of an upcoming Bollywood Movie "Race 3 " has been completed Yesterday. As We know that the movie is having a big star Cast like Salman Khan, Jacqueline Fernandez , Bobby Deol and many more. 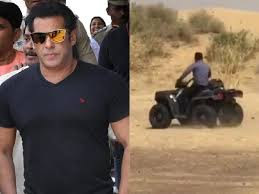 The film is shoot for about 7 months in different locations, the last Shoot Was in Jammu Kashmir and then they leaved for the Court hearing of Salman Khan, in Jodhpur . 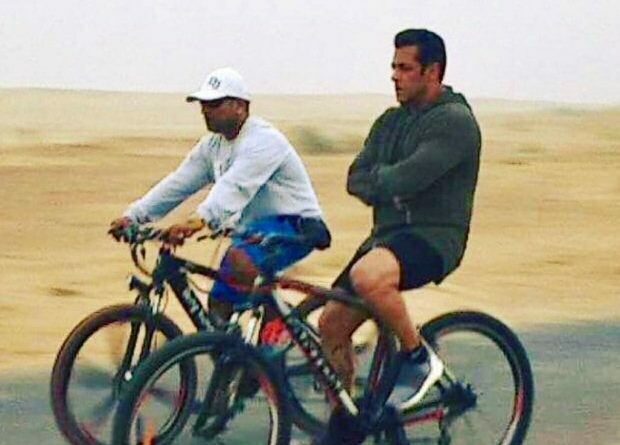 According to some latest news Salman Khan and others had enjoyed a lot yesterday, they had some cycling and Salman is seen Driving a little Quad bike. . So the Shoot is finally completed, and now its all on the Post- Production team, How good they can give a final touch. Well lets See what they can do in about 30 days .. The movie is expected to have a great opening as it is the Eid Release and will be released world wide, so the Hindi/Urdu audience will definitely watch the movie. Which will give them a good opening score. To me I think it will be having about 150 Crore Eid Collection. For more updates please subscribe us by Email notification below.